From body sculpting, to facelifts to eyelid surgery - our skilled surgeons can dramatically improve your appearance using state-of-the-art techniques tailored to your specific needs. Trust your skin only to the best dermatologists in Los Angeles. American Skin Institute offers a broad range of medical and cosmetic treatment options to address your individual skin-related concerns. Struggling with Skin Cancer or it's aftermath? Consult with our leading Mohs Surgeon in Los Angeles for Skin Cancer Surgery and Reconstruction options. Imagine your skin cleansed, stimulated and beautified through a wide selection of effective skin procedures performed by licensed aestheticians and dermatologists. Is it time for that tummy tuck? How about a body lift or even breast augmentation? Consult with an expert plastic surgeon at American Skin Institute to discover the possibilities. 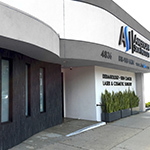 The board certified dermatologists, plastic surgeons and staff of American Skin Institute are dedicated to providing the best treatment for all aspects of skin disease in the Los Angeles and surrounding areas - utilizing the most advanced technology available for the best possible care and outcome for our patients. From skin cancer treatment, to cosmetic enhancements, to rashes and other medical dermatology concerns, American Skin Institute offers the expertise you seek to treat your concerns - with confidence. 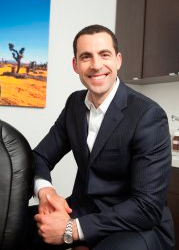 Voted One of Hollywood's Top Doctors in Los Angeles for Dermatology by The Hollywood Reporter in 2015. Dr. Ilya Reyter, the Medical Director of American Skin Institute, has been featured recently on multiple episodes of TheLip.tv's show Media Mayhem with Allison Hope Weiner. Watch the videos below where Dr. Reyter discusses "Fixing Wrinkles In The Long Term:" Dr. Reyter discusses moisturizers and whether or not they reduce wrinkles over time. "Are Anti-Aging Serums Better Than Just Drinking Water? :" Dr Reyter gives insights on serums and whether drinking excess water provides additional skin benefits. "Big Trouble in Lil' Kim's Face:" Dr. Reyter analyzes Lil' Kim's facial structure and proportions, including cheek implants. "Madonna Desperately Seeking Face Filler with Dr. Ilya Reyter:" Dr. Reyter discusses Madonna and facial volume loss/restoration: "Lindsay Lohan's Freaky Friday Face Aging with Dr. Ilya Reyter:" Dr. Reyter speaks about Lindsey Lohan and face aging.